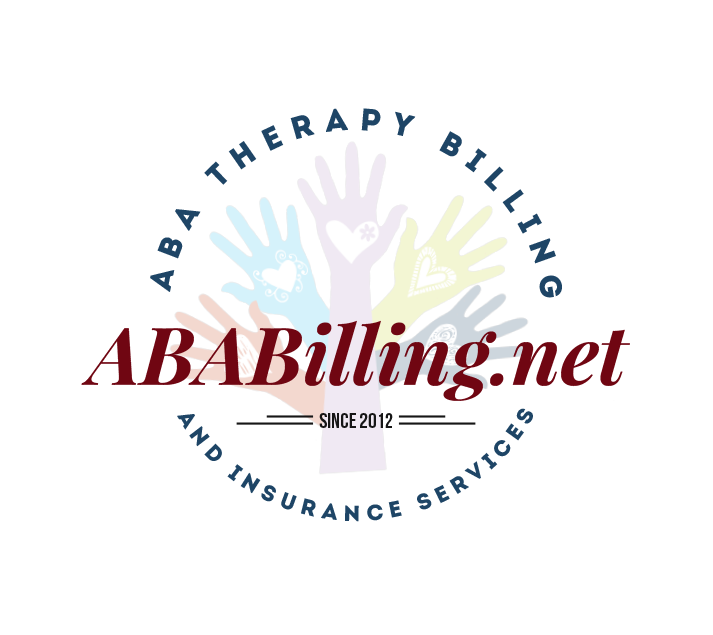 ABA Therapy Billing and Insurance Services is a growing company who was ready for a rebranding. With a new domain that gets right at the heart of what they do, they needed a logo to help highlight the change and echo the past. 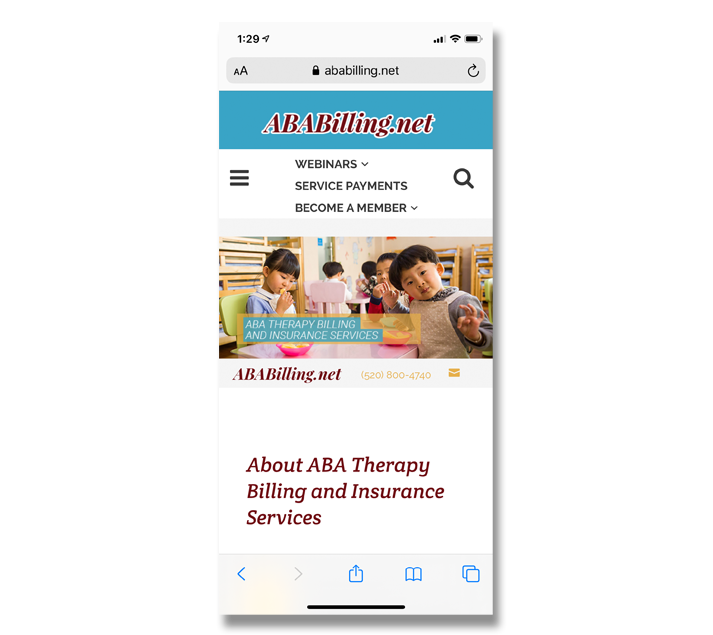 We built their new secure site to show off their expertise and just how much their clients think of them, all while keeping as much SEO “Google Juice” from their previous site domain as possible. We will be building out a paid membership area in the near future. 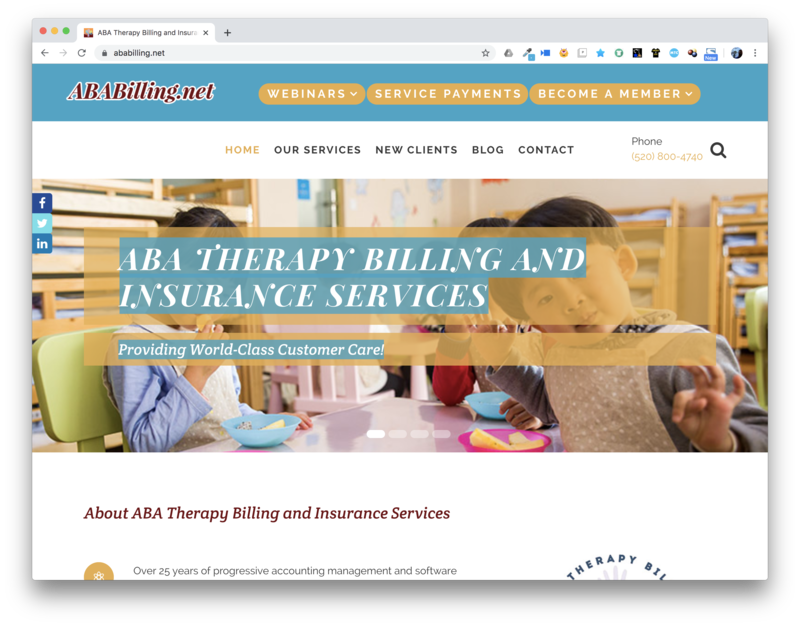 The folks at ABA Therapy Billing and Insurance Services are our oldest client (our SEO efforts took their site straight to the nation-wide top 2 in most key word searches for their type of business), and we look forward to many years to come with them! Let's get social! Follow us on Twitter and Instagram, and connect with Christopher Estep on LinkedIn.